The cost of domestic power is an expense we feel we can do nothing about. Yes, it is a necessary item we get used to paying. If we run our own business, the position is quite similar; energy consumption and its cost are to be taken without demur; there are so many fronts to be involved with on an ongoing basis anyway. However, just spare some time to view the options for energy consuming gadgets / equipment that are available today and you may be surprised with the amount of saving you can make on the cost of energy. To take measures in this direction, the areas that should be a priority have to be identified first. You have to be conscious about the cost involved in bringing about any changes; else there is a possibility that you end up spending more on the changes compared to the resultant saving on energy consumption. Like, if you think about installing an alternative source of power such as a home solar generator, the existing load pattern has to be carefully seen; if necessary the comparatively higher energy items may have to be kept out of the circuitry powered by the new source. This will reduce the cost you incur on the changes. Do not underestimate the quantum of saving that comparatively smaller items when put together can give you. The basic idea that should not be lost sight of is that the cost you incur on the additions/changes should come back as saving on cost of energy quickly enough. We take a practical example. Solar power is by now a well known system for cheaper generation of power. Before, however, going ahead by getting solar power system installed, it’s worthwhile starting with the most basic need of power needed for lighting purpose in your home. Generally, a far more number of lighting bulbs are found spread over your entire house than those that are regularly being used. It is advisable that the aggregate power required for the bulbs being used daily is taken into account for your estimate of the output of solar system. Taking the cost of each solar panel to be $450, you will incur a total cost of $3600 for panels. 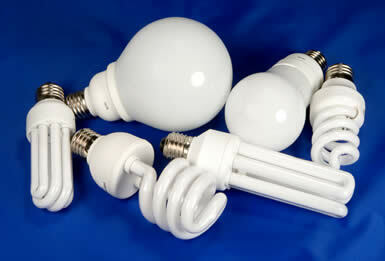 Let us see how much can be saved by replacing bulbs with CFLs. Total power consumption for lighting will easily come down to 400 watts (33%) and so getting just 3 solar panels at a cost of $1350 will suffice; installation cost being kept at the same. This means you are saving $2205 even after providing $45 for cost of CFLs! Likewise, working out the saving by replacing some other gadgets, you may be amazed at the total saving you would make. You will for sure find the inconvenience when the change is being given effect involving a couple of visits to the electrical stores and the noise created by the labor completely melt into the resultant savings on recurring cost of energy!